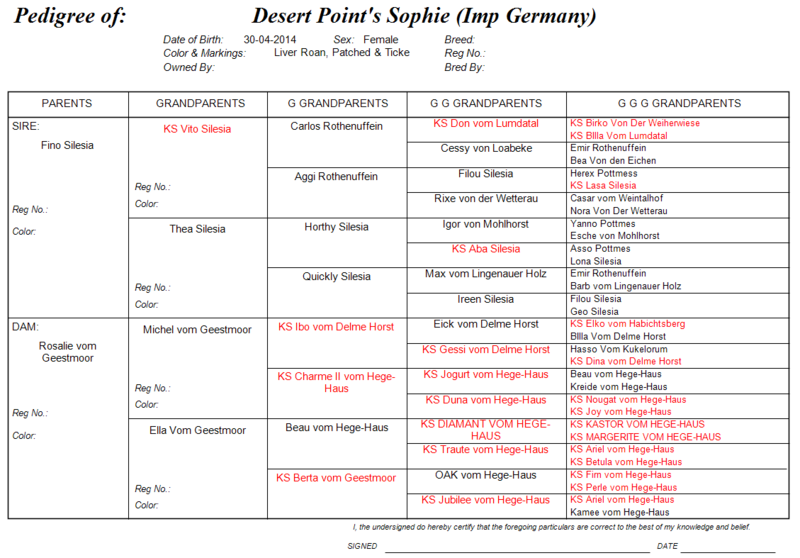 Sophie is a Liver Ticked German Import. 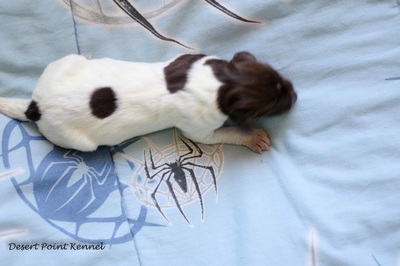 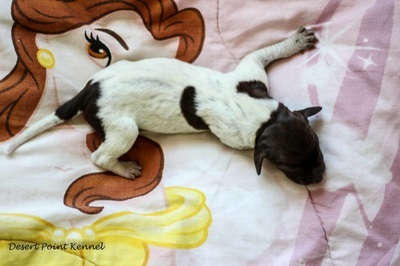 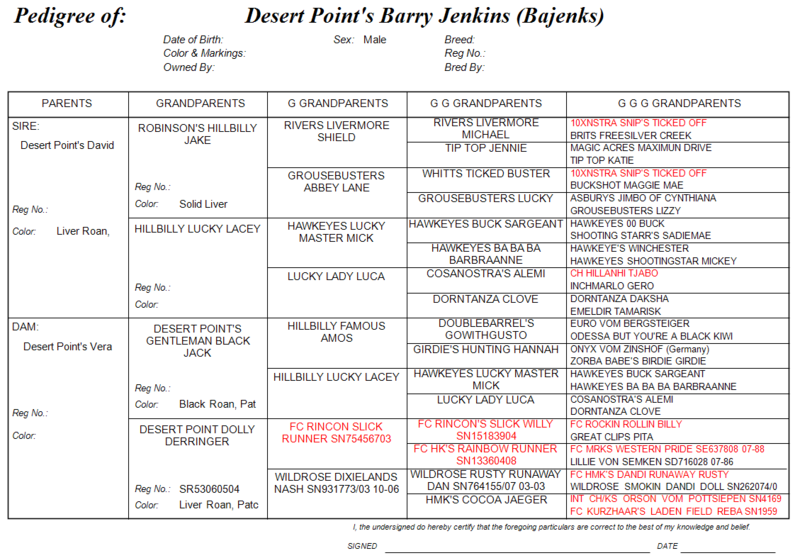 This is the pedigree of the puppies. 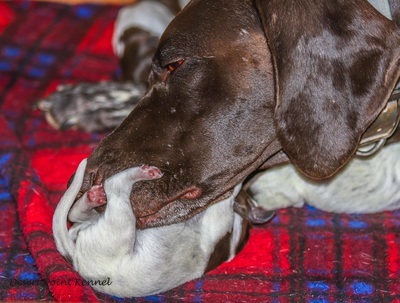 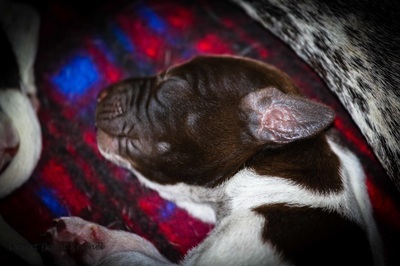 They all should be great versatile hunting dogs. Bajenks is a very handsome and versatile hunting dog, with a great temperament. 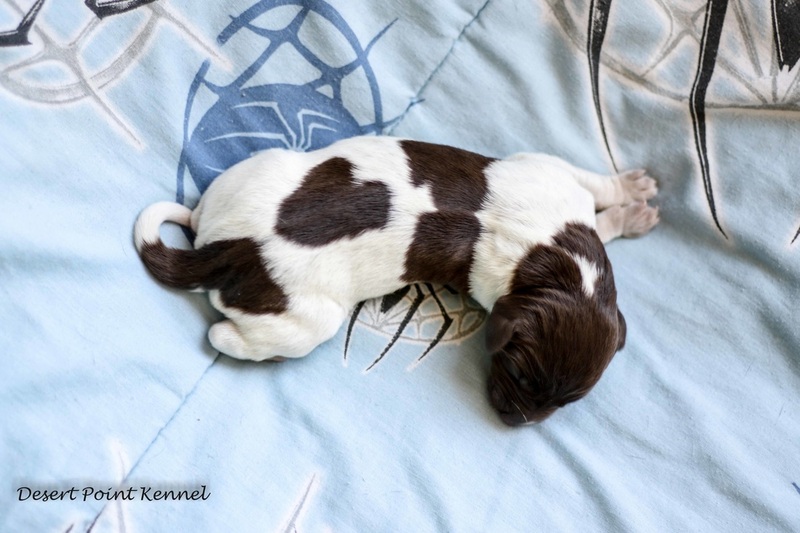 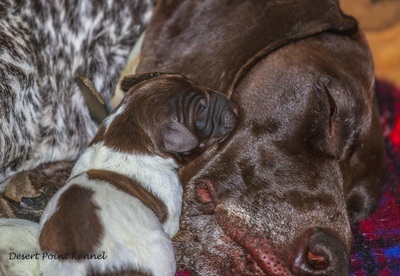 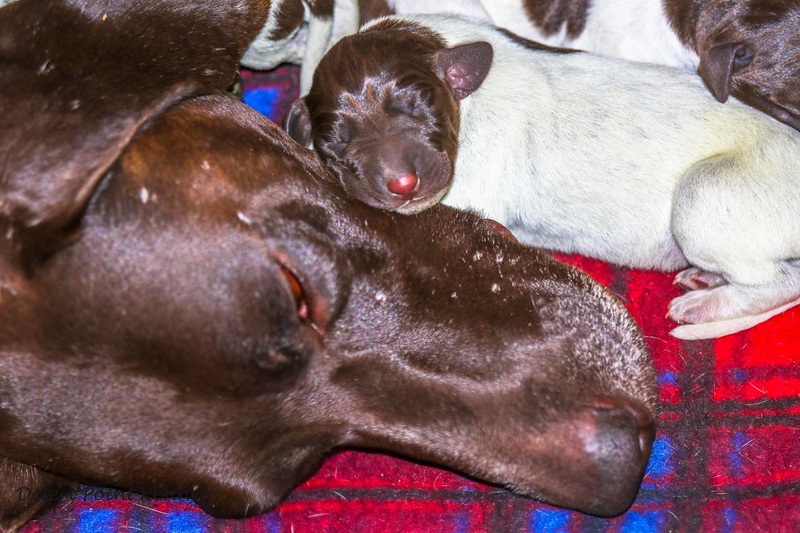 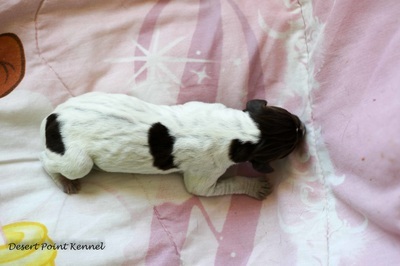 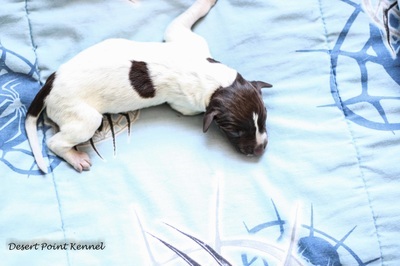 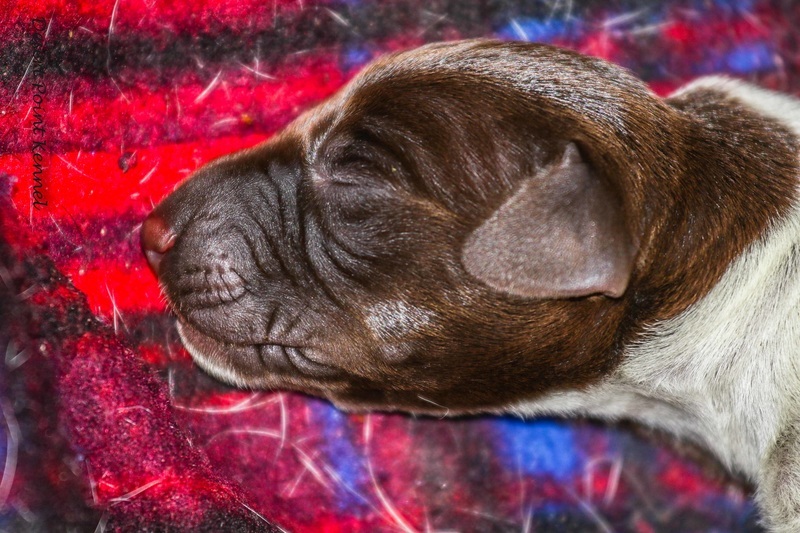 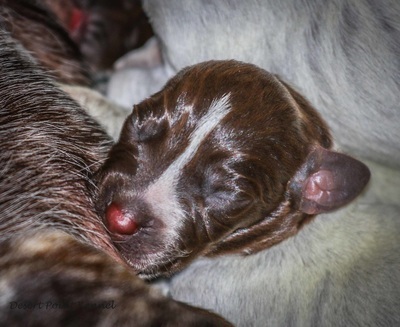 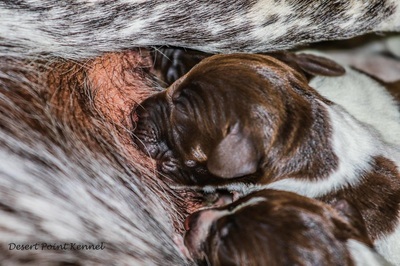 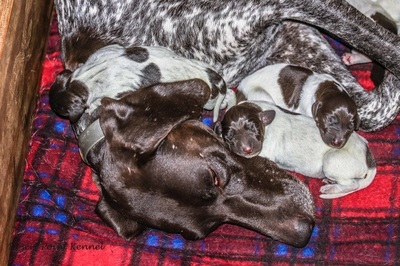 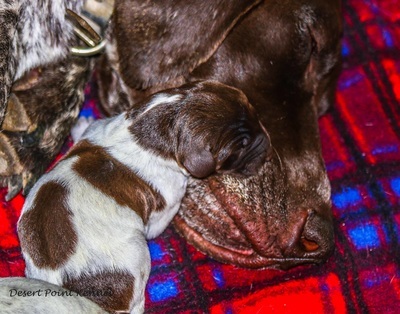 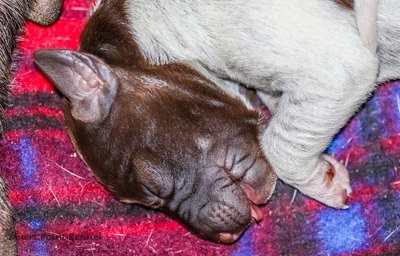 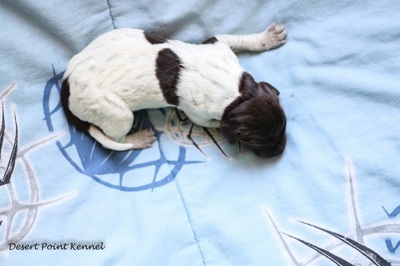 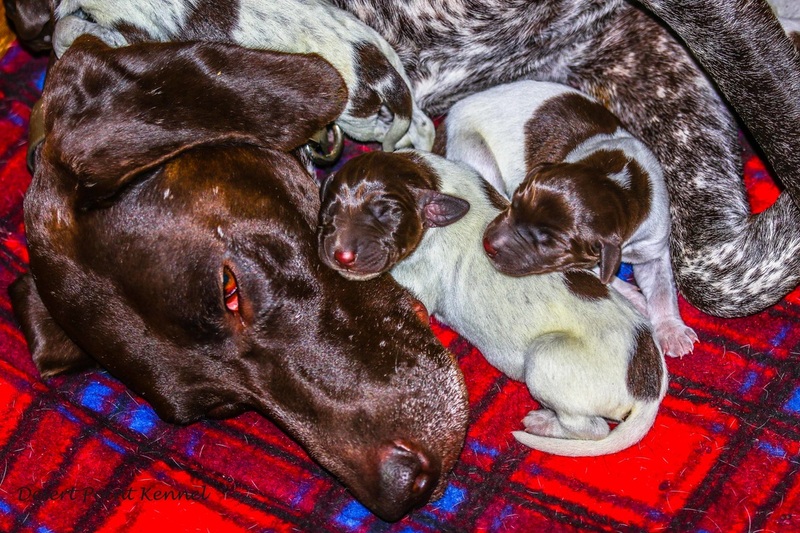 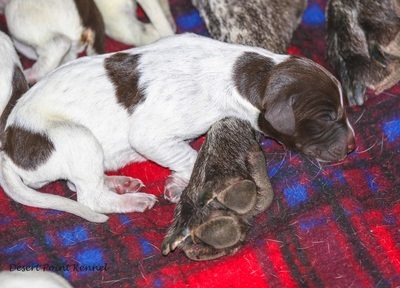 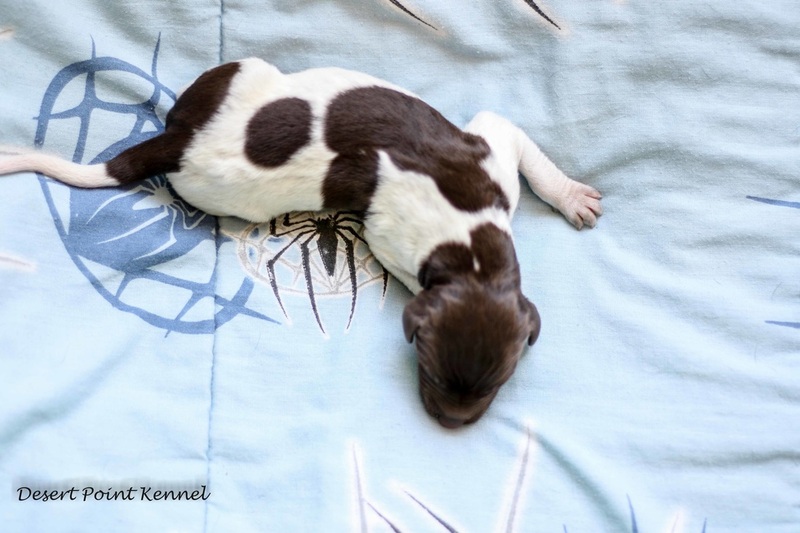 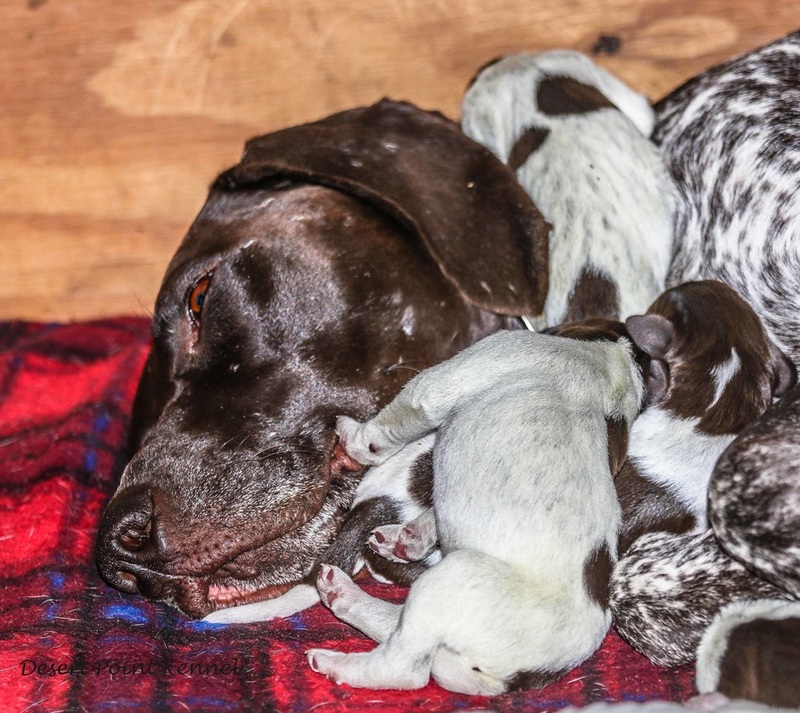 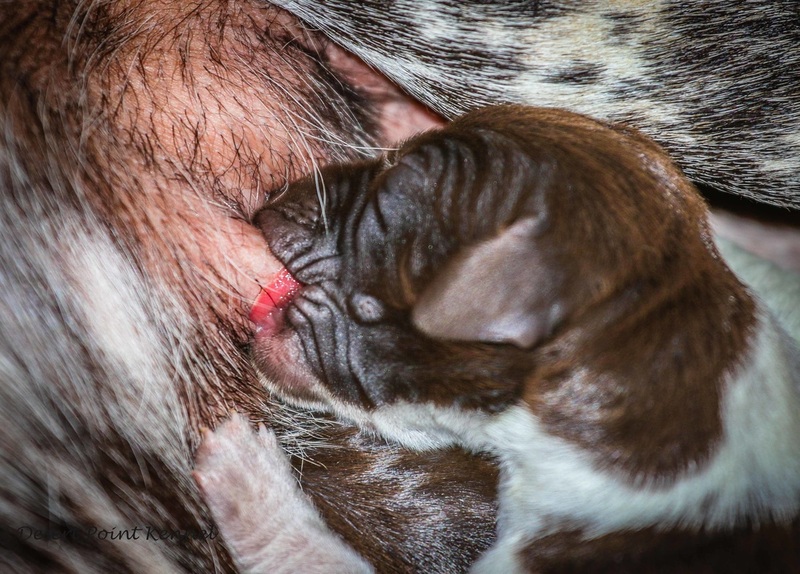 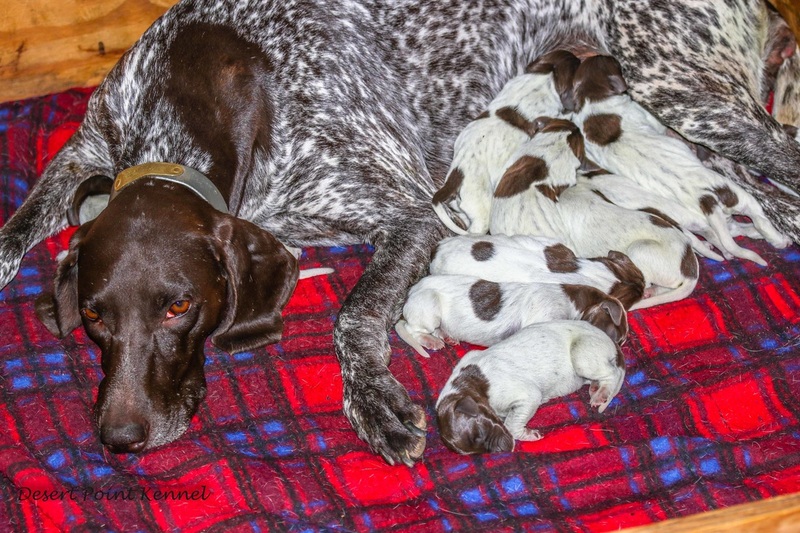 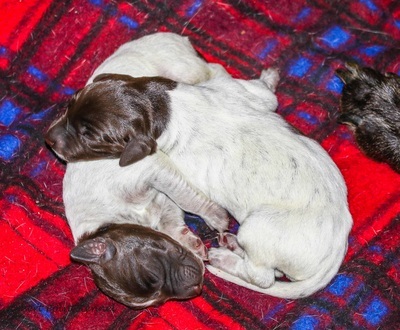 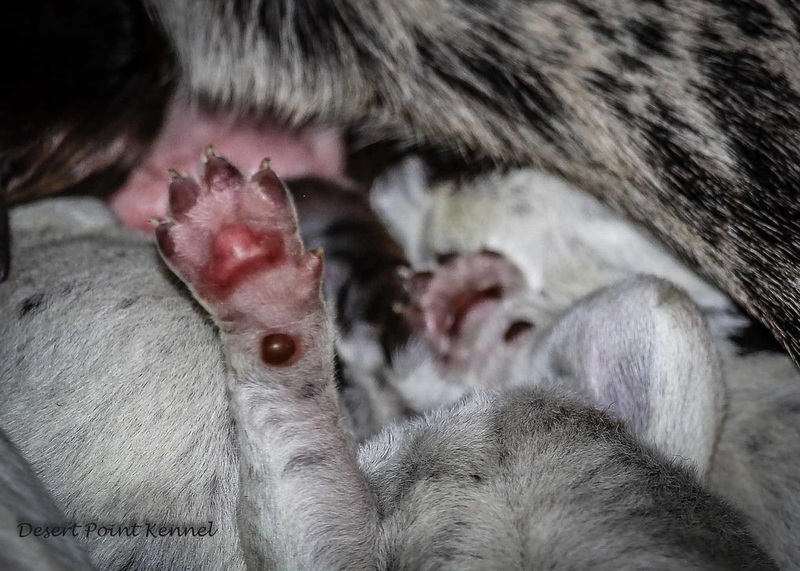 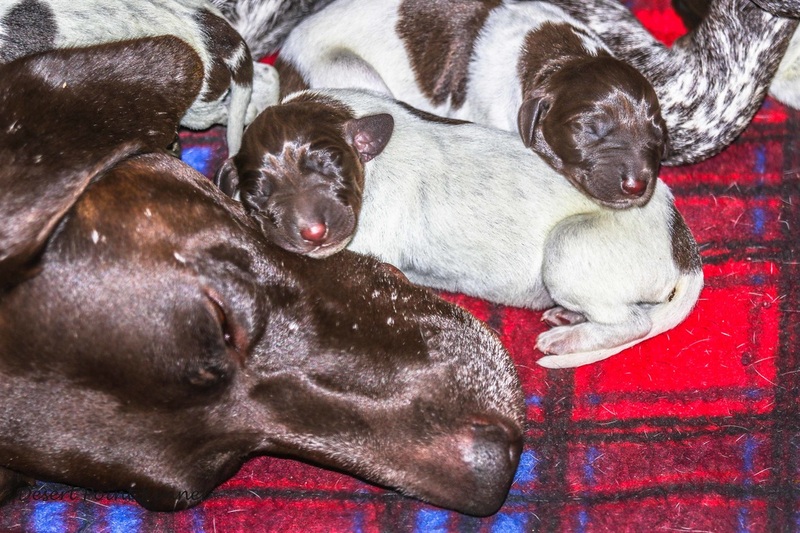 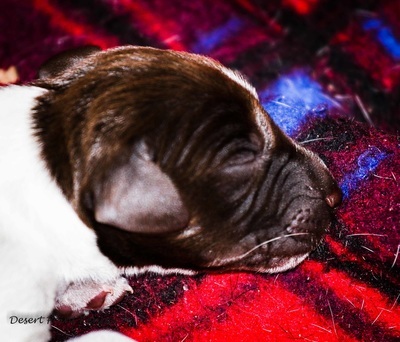 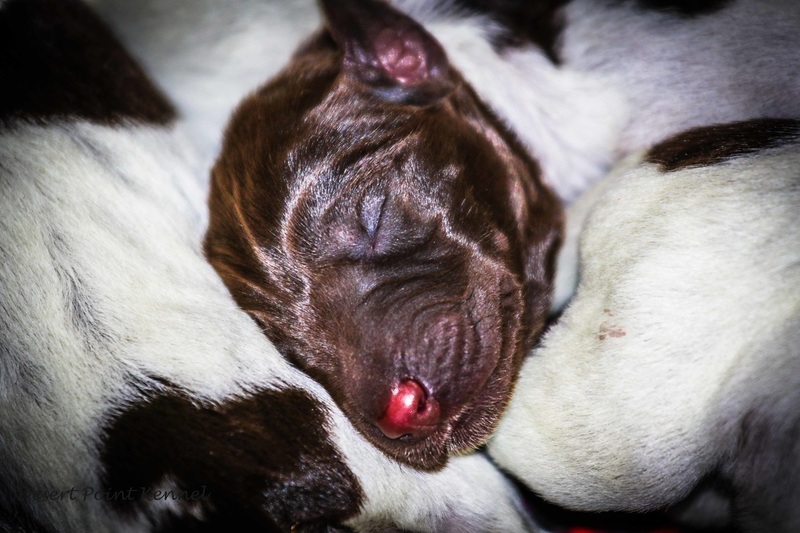 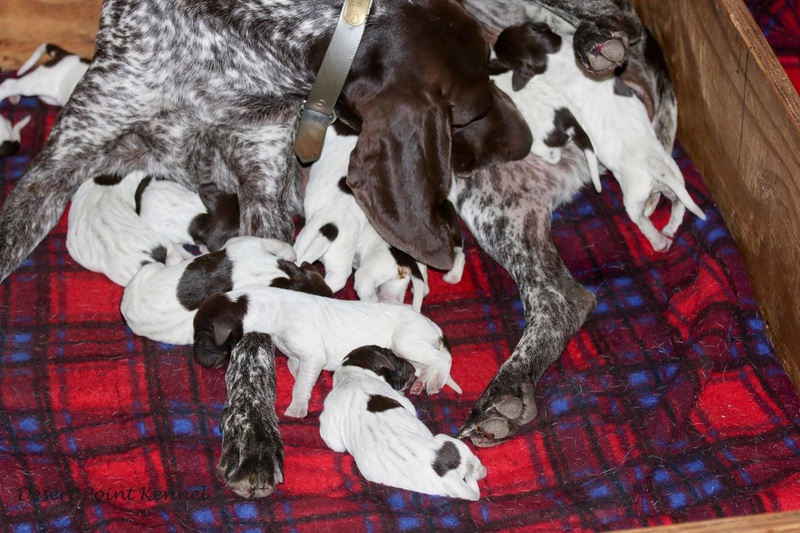 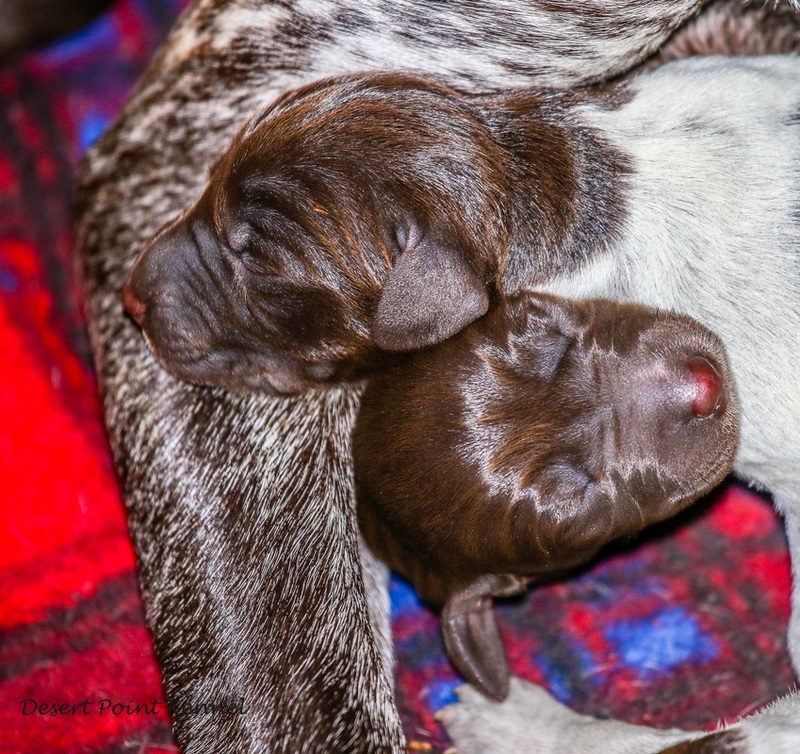 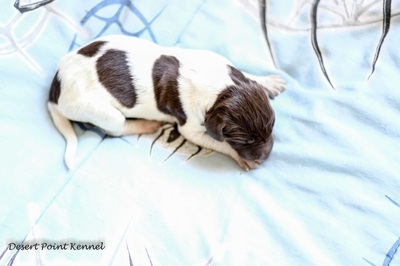 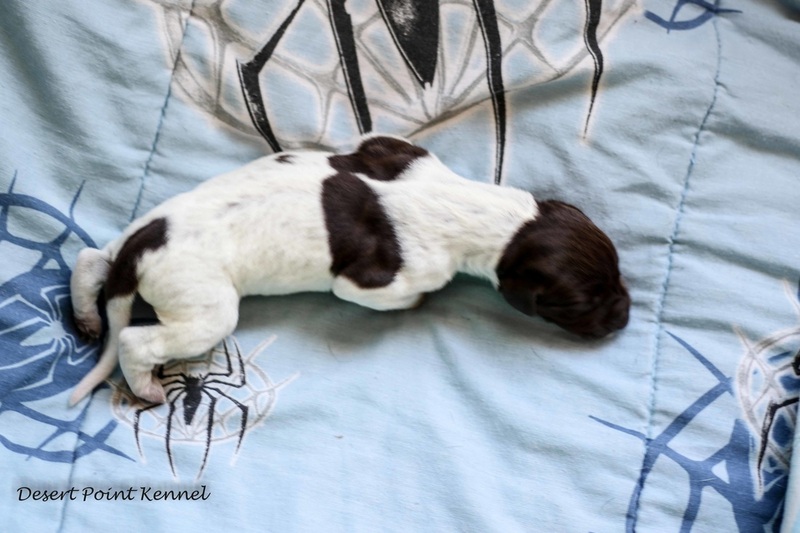 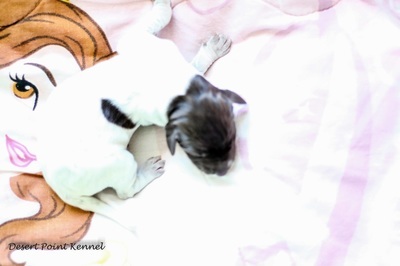 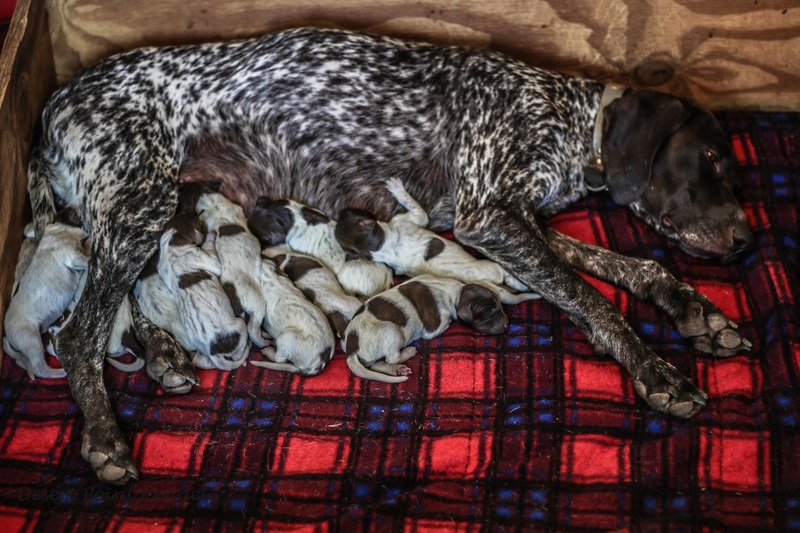 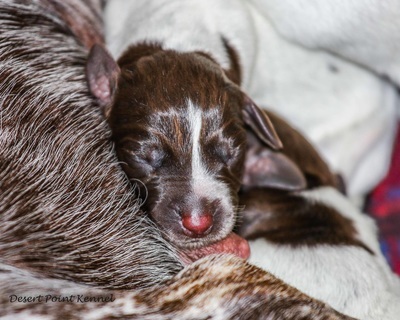 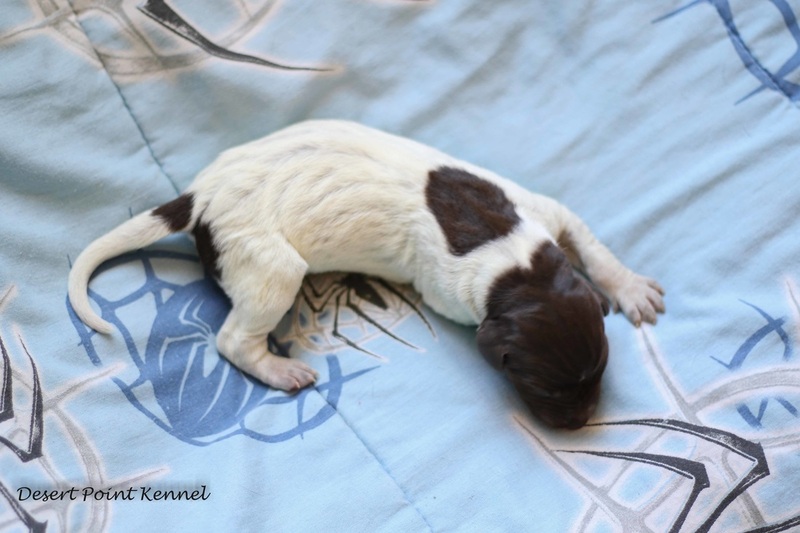 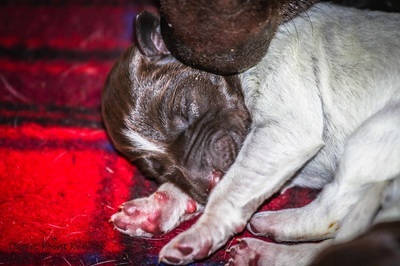 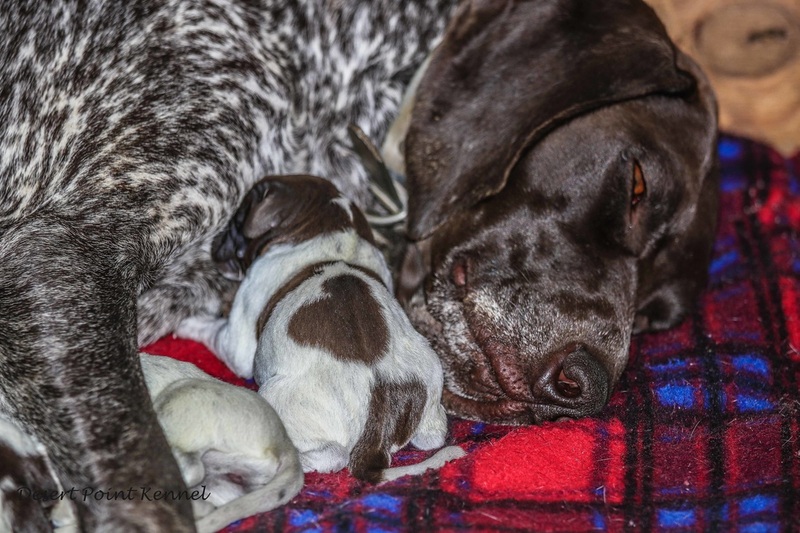 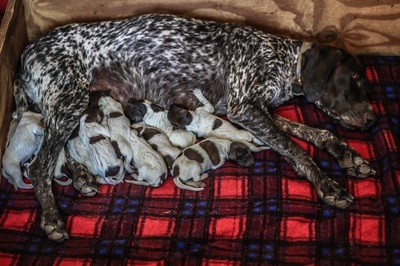 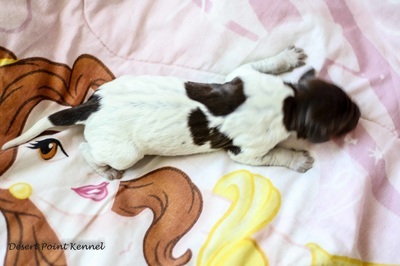 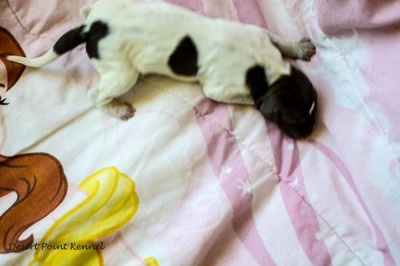 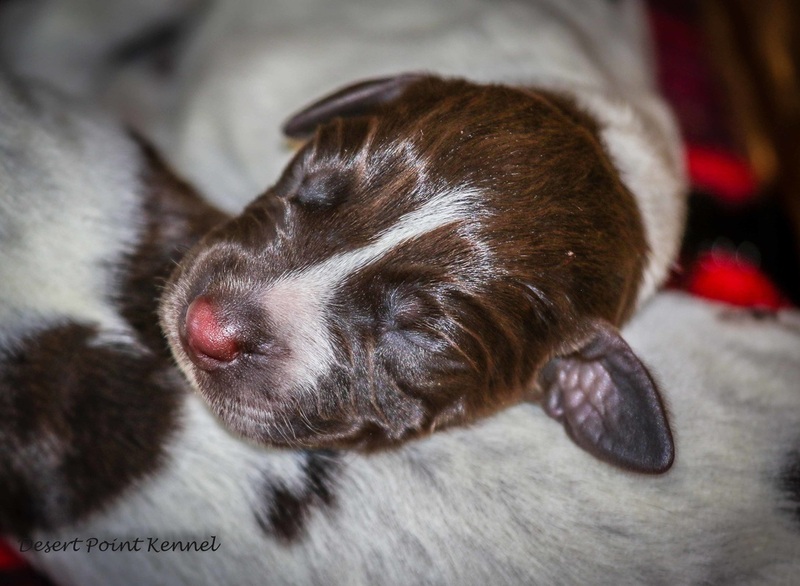 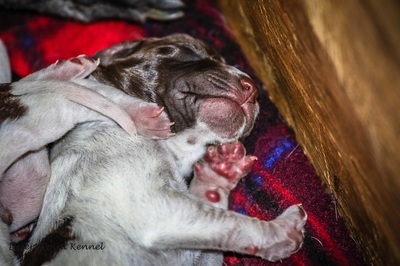 These will be outstanding hunting dogs, and great family members. 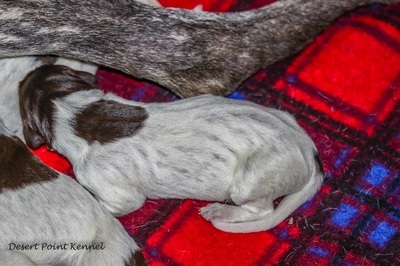 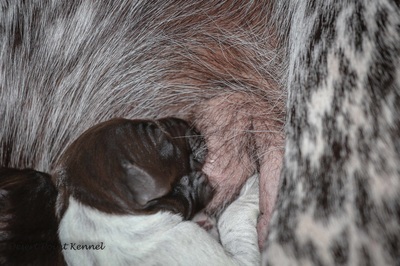 These will be very nice looking Liver Roaned dog, with a good point, back, med. 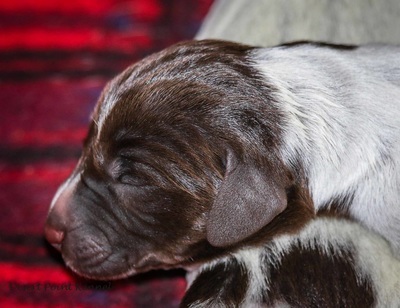 to close working with a natural retrieve, great water work, with a wonderful temperament for a great family dog. 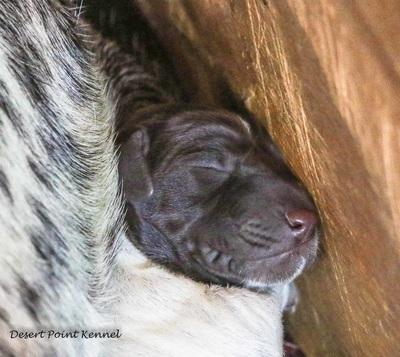 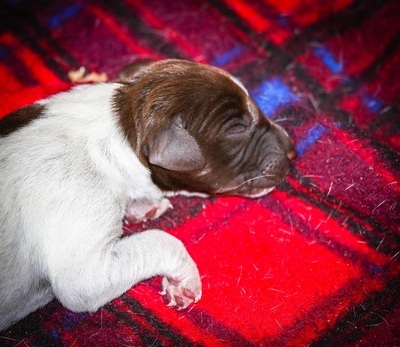 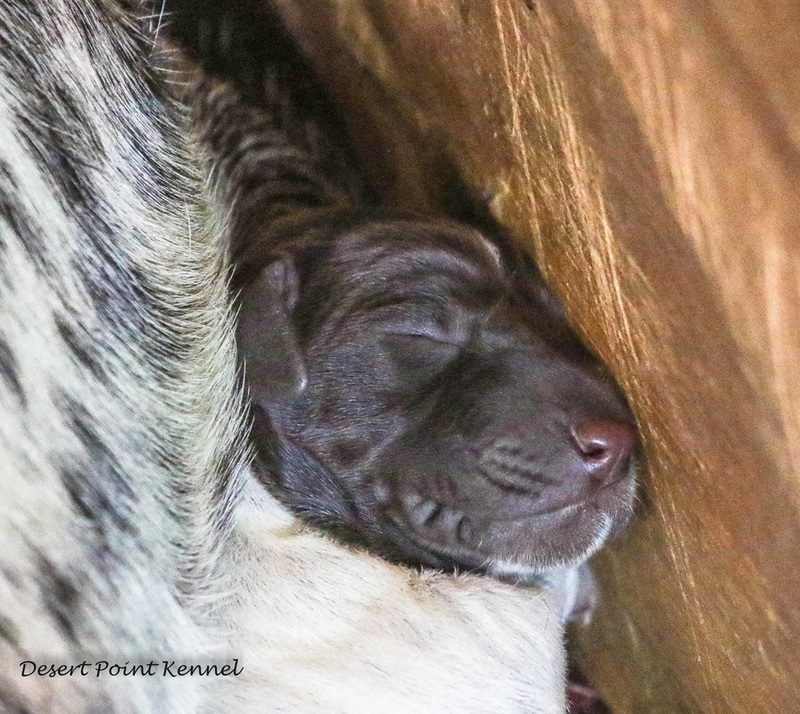 We understand that even the most hunted dog in the world still spends more time at home as a member of the family, so temperament remains the most import quality we are all looking for.